Adam is Source Endurance coach specializing in mass start events for athletes of all abilities and Para. Road races, Mountain bike MTB XC, cyclo-cross (CX), criterium, time trials, enduro, ultra- enduro, gran fondos, and gravel of all sorts. Adam's clientele includes everyone from beginner to professional. He utilizes the most advanced data analysis tools to interpret your power, heart rate and GPS data to ensure you stay on track and remain successful with your training. 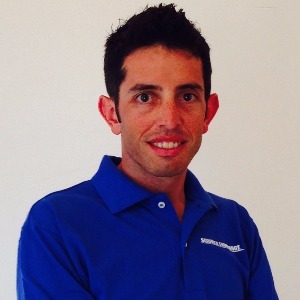 Adam is currently the Performance Director of the Elevate- KHS Pro Cycling Team. He has raced at the elite level since 2002 and graduated with a Masters in Exercise Physiology from the University of Kansas in 2005. His true talent comes with his ability to combine his vast experience with his knowledge of sport. He is indeed a student of science, sport, athletic performance, strategy, and tactics. He continuously educates himself by keeping up to date with current trends and methods in sport and his clients have reaped the benefits from this work with over 14 national championships in 8 disciplines on two continents. Adam is able to incorporate these attributes on a daily basis to help his clients reach and exceed their goals whether they are a beginner or a seasoned professional. Learn more about Adam and Source Endurance here. I only expect that any athlete I work with has a positive attitude and is ready to work, learn, and improve. Success. Coach Adam Mills has been notified of your message. Belgian Waffle Ride Preparation, THRIVE!! From the OFFICIALLY Licensed BWR Coaching service. To hire Adam Mills as your coach, select the coaching service that is right for you.